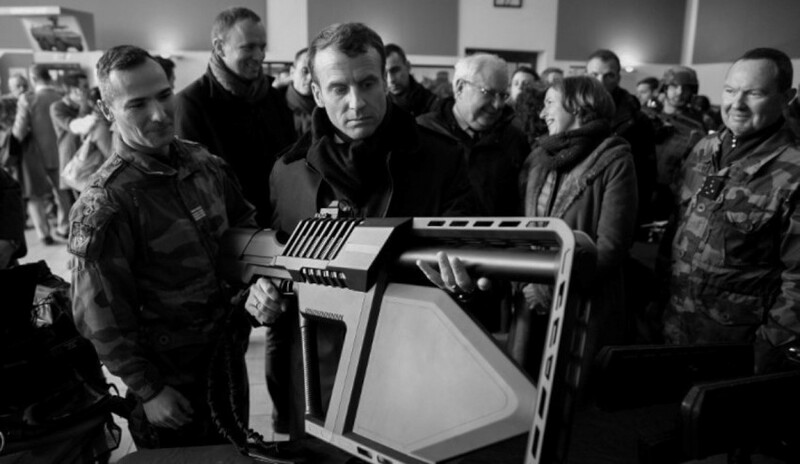 His Excellency President of France Emmanuel Macron, French Minister of the Armed Forces Florence Parly, and the Chief of Staff of the Army Jean-Pierre Bosser review DroneGun Tactical at French Army Camp Mourmelon. ASX-listed counter-drone technology specialist DroneShield has secured its largest ever order for DroneGuns, a tactical jamming product. The ministry of defence of a major Middle Eastern country has placed a $3.2 million order for 70 of the DroneGuns. DroneShield said the undisclosed country is allied with Western governments. "We believe that this is a company-making sale and a game-changer for DroneShield," said DroneShield CEO Oleg Vornik. The ministry of defence that placed the order has one of the largest defence budgets in the world, according to the Sydney- and Virginia-based counter-drone company. "We view this order as just a start of our relationship with the MOD and expect to receive substantial (and substantially larger) additional orders for this product and other products of the company for the MOD and for other ministries and agencies in-country and elsewhere in the region," Vornik said. Vornik added that the order is also a tick of approval for the quality of its products. "A large order by one of the most sophisticated users of security and defence equipment in the world validates the quality, effectiveness and competitiveness of our products," he said. "Larger defence 'prime contractors' and security integrators are looking to ascertain which companies emerge as the winners in the anti-drone 'arms race'. This order places DroneShield at the forefront of the industry and is likely to have a substantial positive effect on DroneShield’s corporate discussions with larger industry players." DroneShield said the order comes against the backdrop of significantly intensified nepharious drone activity in the Middle East, with dozens of drone attacks reported in the region since the beginning of the year. The company’s ability to fulfil the order is subject to approval by a US regulator overseeing defence exports. DroneShield expects to receive such approval, if it is granted, in the next two months, using the established US defence product sale approval process.